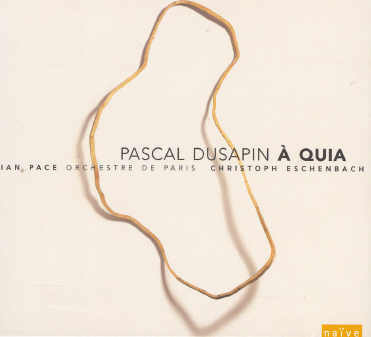 This recording is the culmination of a long-term collaboration with the composer Pascal Dusapin, involving the world premières of both the concerto 'À Quia' (the first performance of which, in the International Beethoven Festival in Bonn, appears on these discs, and which Pace further performed with the orchestra in Paris and Strasbourg) and the seven 'Études pour piano'. The project has involved extensive work with the composer on the pieces, the latter of which Pace has played in several countries between 2000 (when he also premièred the fourth of them) and the present. In particular, he performed the world première of the complete set at the Festival d’Automne in Paris, at the Théâtres au Bouffes du Nord, in December 2002 - a concert which also included Beethoven’s 'Diabelli Variations'. The engagement with Dusapin’s work also resulted in a major article on the composer’s work which was published in The Musical Times No. 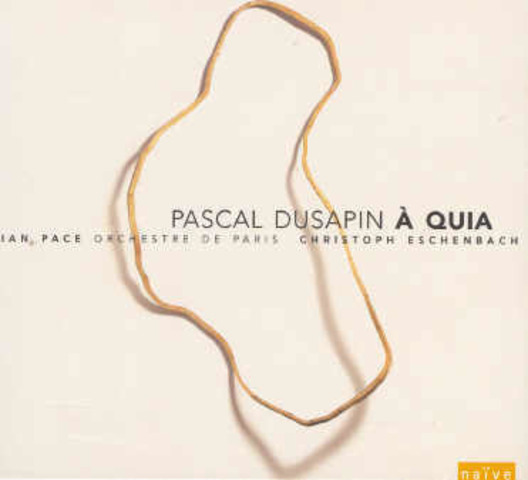 1857 (November 1997), and another article entitled ‘Dusapin Material’ for the booklet in the MusICA Festival 2000. Pace also contributed programme notes for the CD, and for the published score issued by Salabert in 2004. The working process with the composer is documented on a DVD included with the CDs; a documentary about this was made for French television by Até, and has been broadcast on multiple occasions. These discs have sold over 7000 copies between their release in January 2004 and summer 2005, and undoubtedly many more since then.